Sci-Fi Space or Space Opera is a sub category of Sci-Fi. This category dwells on a melodramatic adventure, space warfare, romance, interplanetary battles and risk-taking. This category which is mainly set in outer space most of the time includes clash between opponents with new age weapons, sophisticated tech and abilities. 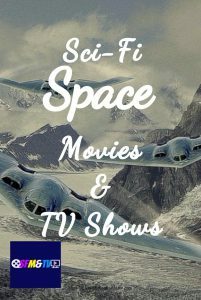 Thanks to TV shows and films like Star Trek and Star wars, this sub category is one of the widely known sub category of Sci-Fi genre. I have been a fan of the original star wars trilogy and I love Star Trek too. I know there are people who don’t want to admit that they like both. I like space opera and will definitely check your list. There are a few I haven’t got the chance to see yet like The Martian. I heard a lot about Firefly but I haven’t seen it yet. I’m the same. I like both Star Wars and Star Trek.